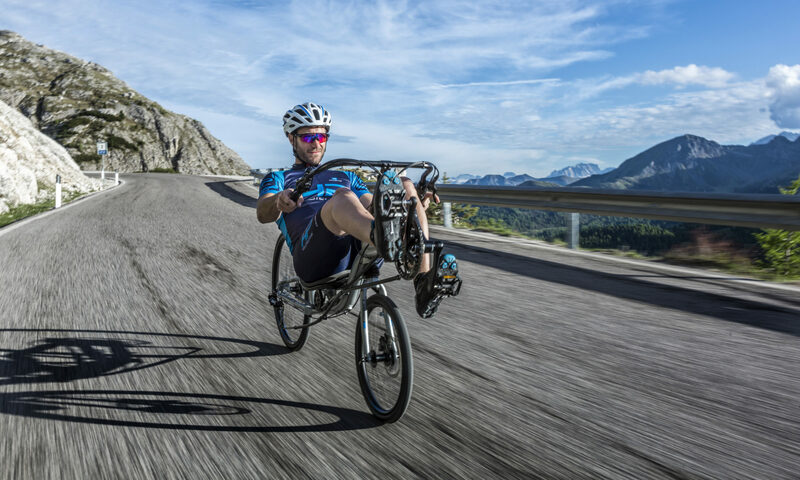 The Mule is designed for expeditions – with suspension and a large ground clearance, it can be used anywhere you can take a mountain bike, or switched to road mode it’s light and fast and means you can carry everything you need for camping without loading your bike with panniers. The Mule can come as a bare trailer, the Classic, or the Plus also has the very useful stand, frame bag and mudguard. I’ve got a Mule Plus demonstrator in the shop.